Head Muscle Press (11 April, 2010) – This past week Obama has dramatically reshaped America’s security policy by pledging to reduce our nuclear arsenal by thirty percent, and promising our adversaries that we would not use nukes on them, even if they attacked with chemical or biological weapons. Though the President has received harsh criticism for these moves, it would seem that he is only just beginning. In a surprise announcement early this morning, a White House spokesperson told stunned reporters that military units deploying to Iraq and Afghanistan will be issued blank cartridges for their weapons. “We have studied this very closely,” the spokesperson announced, “and we have determined that the leading cause of enemy fatalities on the battlefield, is US inflicted gunshot wounds. 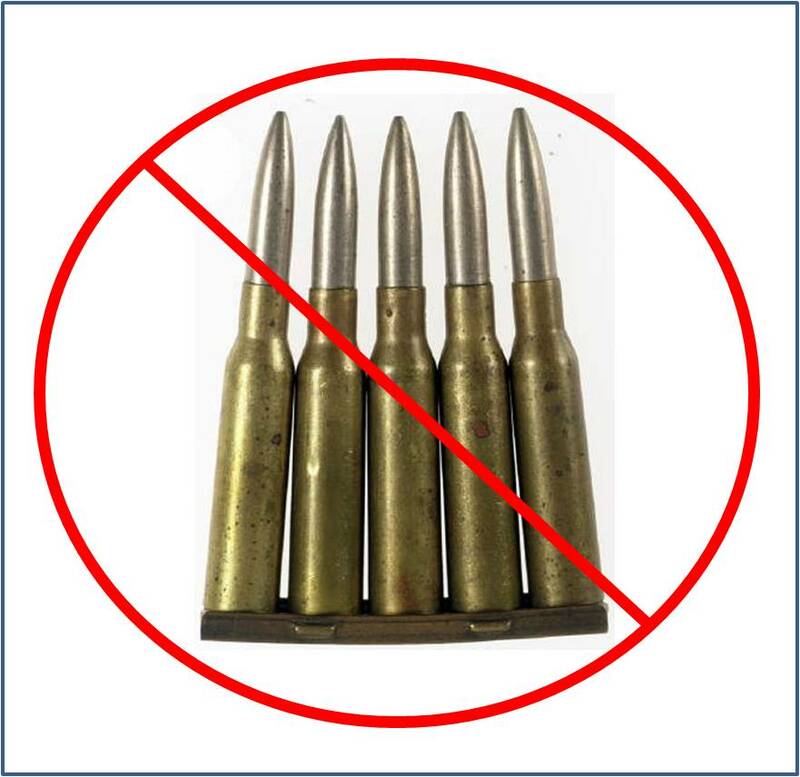 The President feels that this cannot continue, and that we must take immediate steps to reduce these tragic combat-related enemy casualties.” According to the President’s plan, military units will begin deploying into the theater with blank cartridges by late this summer. These units will be deployed to areas where fighting has been heaviest over the past year, and coincidentally where the most enemy gunshot fatalities have been recorded. “Obama believes that, by focusing in these areas, we should see and immediate and substantial increase in enemy survival rates during combat operations,” the spokesperson noted. “The President’s revolutionary new approach should put a stop to combat related enemy casualties once and for all.” Some military analysts are already projecting that, under Obama’s plan, America is on track to reach French levels of wartime non-lethality by 2012. HM: (yelling) Thank you so much for the opportunity to come out to observe this new training. Can you tell me exactly what is going on? Source: (yelling back) Sure, it is really quite simple. Each person you see shooting has their magazines loaded with the new round, and they are familiarizing themselves its operational capabilities. HM: So are they all firing blank cartridges? Source: Please! Obama would never send our troops into combat with “blanks!” How absurd! They are actually Projectile Deficient Simulated Rounds, or PDSRs as we call them. HM: (pausing) So, what exactly are they shooting…at? Source: Well, if you look downrange, you will see a number of hostile pop-up targets appear. When the Soldier sees the target, he fires his new PDSR equipped weapon at it. HM: (confused) But there are no bullets to hit the targets with? What’s the point? Source: (rolling eyes) Well – obviously – the point is not to kill them! Were you not listening at the press conference? HM: Yes, but I’m still not sure that I get it. All these new rounds do is make noise. Source: (exhaling heavily) Well, Obama believes that if we can make enough noise, over time, our enemies will see the futility of their resistance and just…well…give up. HM: That sure sounds like a crazy plan to me. Source: It worked for the health care bill didn’t it? HM: Oh…good point. So how long before everyone in-theater is shooting the new blanks…I mean PDSRs? Source: Well a logistical movement of this magnitude will take time. We have millions of conventional rounds which will have to be used up first. But the good news is, we’ve come up with a couple of contingency plans to minimize enemy casualties in the meantime. HM: Oh really? Can you tell us about them? Source: Well first, Central Command has issued a directive to all combat units that, when engaging in combat, they are to miss their enemies when firing on them. Source: Yeah, I mean, they shoot and everything.. just not at the people shooting at them. We are suggesting that they pick a pretty cloud or a sand dune, and shoot at them if possible. It’s a pretty good interim plan, but not foolproof. Source: Well, for 8 full years, the Bush administration had a policy of training our Soldiers and Marines to kill our enemies. Obama really inherited a mess in that respect. It is going to take him some time to fix things. HM: So you are concerned that until the new PDSRs arrive, some enemy casualties are inevitable even with the “mandatory miss” order? Source: Regrettably so but, if it becomes a real problem, Nancy Pelosi and Harry Reid have come up with a plan to deal with that as well. HM: Oh really? What is it? Source: Well…this is technically top secret, but…..oh what the heck. If enemy killing gets too rampant, we have a plan to deploy a US led UN Security contingent to protect them from our US forces. HM: (baffled) What? You mean a US led force would actually protect our enemies from other US forces? Source: Why of course! Obama would never allow US troops to be led by a foreign UN commander? Do you think he’s a nut or something? HM: So we could actually see a scenario where US forces are fighting each other to protect our enemies? Source: Yep. What a powerful way for Obama to show the world his commitment to ending the war! It really makes me well up with pride…. HM: (in disbelief) Well it’s a “change”…that’s for sure. Source: Well I have to run. We are testing Obama’s new hand grenade design today. HM: (encouraged) Oh, so our troops will still have hand grenades? Source: Well kind of…these new grenades are a little different though. Source: Well for one thing – they’re chocolate. Source: Yes, but only a mild milk chocolate. The terrorists don’t seem to digest the dark stuff to easily. They get….well….the poopies. HM: So we are going to throw chocolate grenades at our enemies? With that our source departed for the an undisclosed proving ground to observe the new chocolate grenade test. At the end of the day, it seems as if Obama has mandated a fundamental change to the way our forces will fight…or not fight during combat. Though unprecedented, it seems very much in line with his self-imposed nuclear restrictions, stockpile reductions, and passive acceptance of Iran’s nuclear ambitions. Whether or not his new policies will actually work, will undoubtedly be a subject of considerable debate over the next several months. One thing seems certain however, thanks to Obama, the US will be firing blanks on the world stage for some time to come.